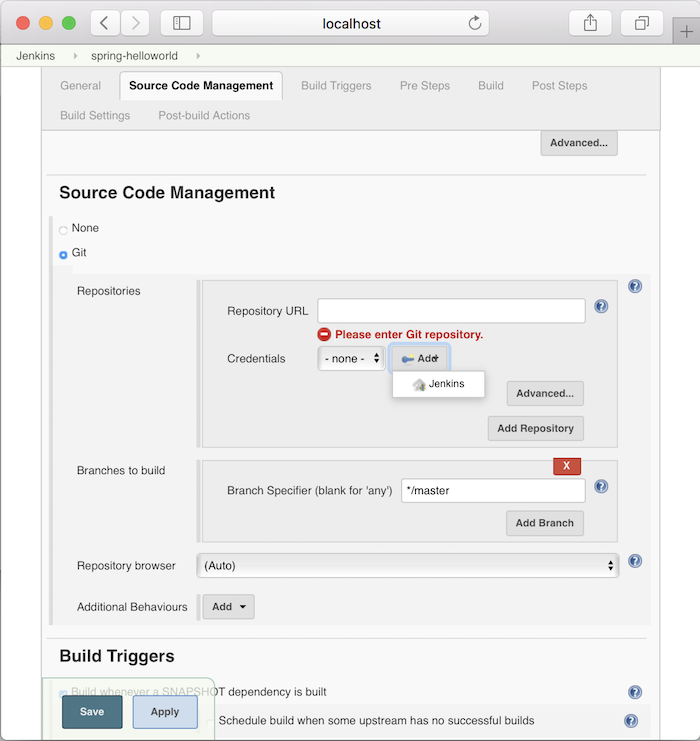 I have shown you how to configure JDK and Apache Maven in Jenkins in previous posts, now we can use these configurations to build a Maven project. 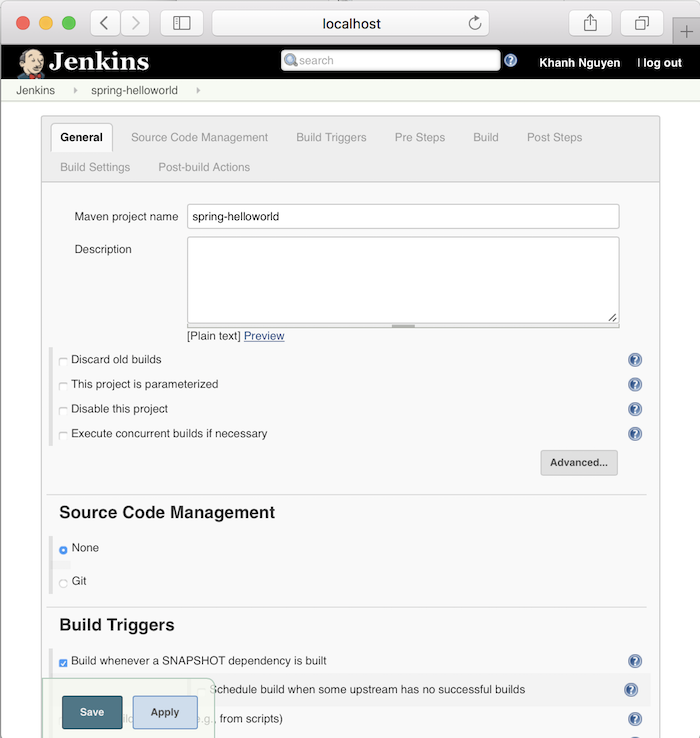 In this tutorial, I will walk you through the basic steps needed to build a Maven project in Jenkins. 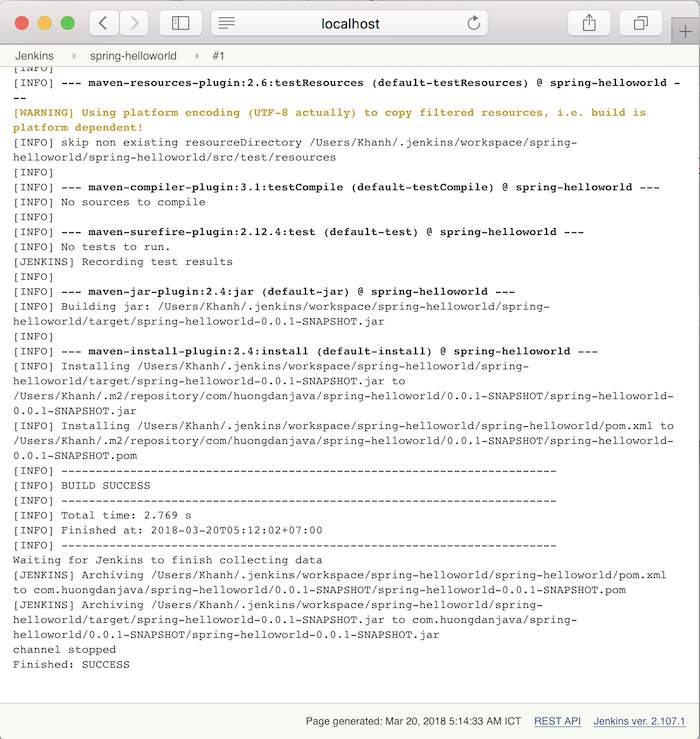 As an example for this tutorial, I’m going to use Maven project spring-helloworld in the tutorial hello world. 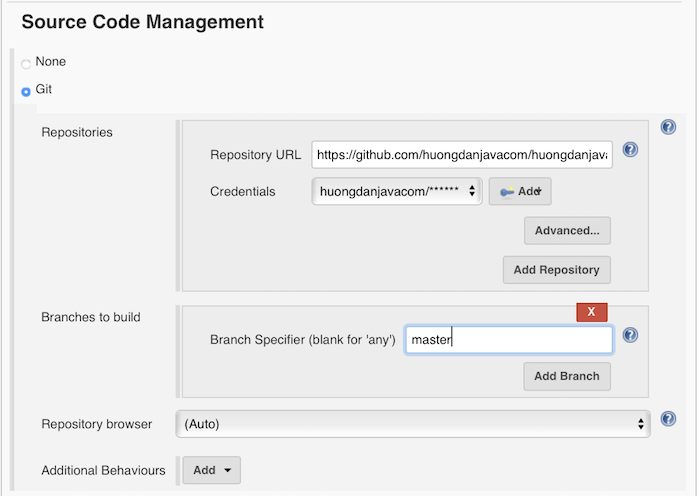 This project was pushed to the huongdanjava.com repository using my GitHub account at https://github.com/huongdanjavacom/huongdanjava.com. 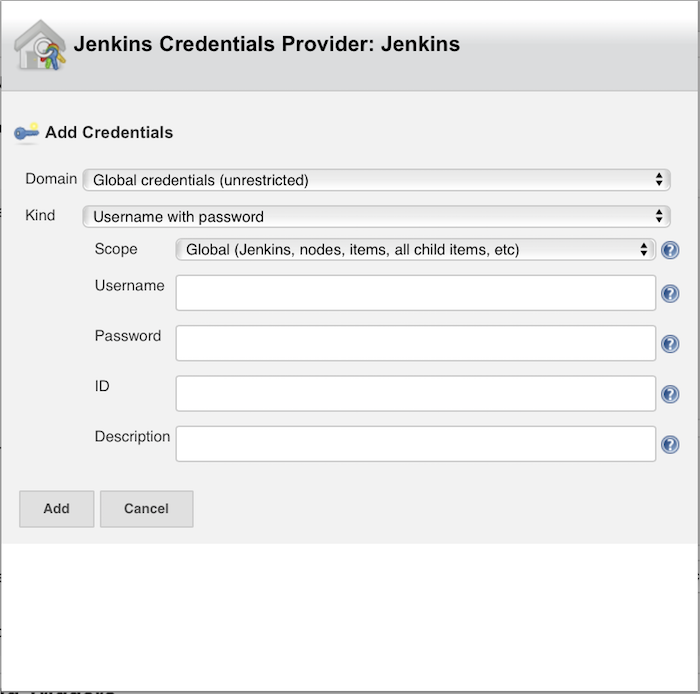 First, log in to Jenkins using the admin account, then select New Item. 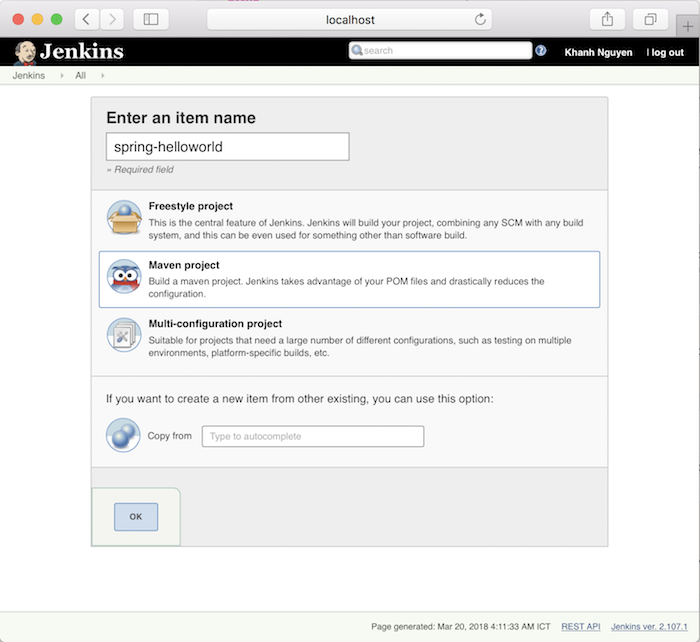 As you can see, in this step, we will select the type of project we want to build with Jenkins. 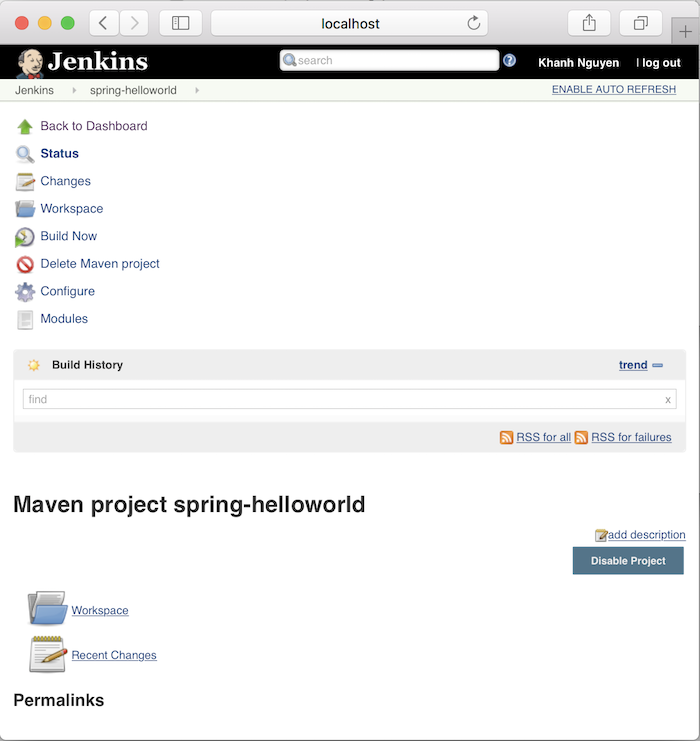 There are many different options, but in this tutorial, we just focus on Maven project, so after entering the name, called Jenkins job, in the Enter an item name field, then select the Maven project. Next step, we will configure Git SCM information. 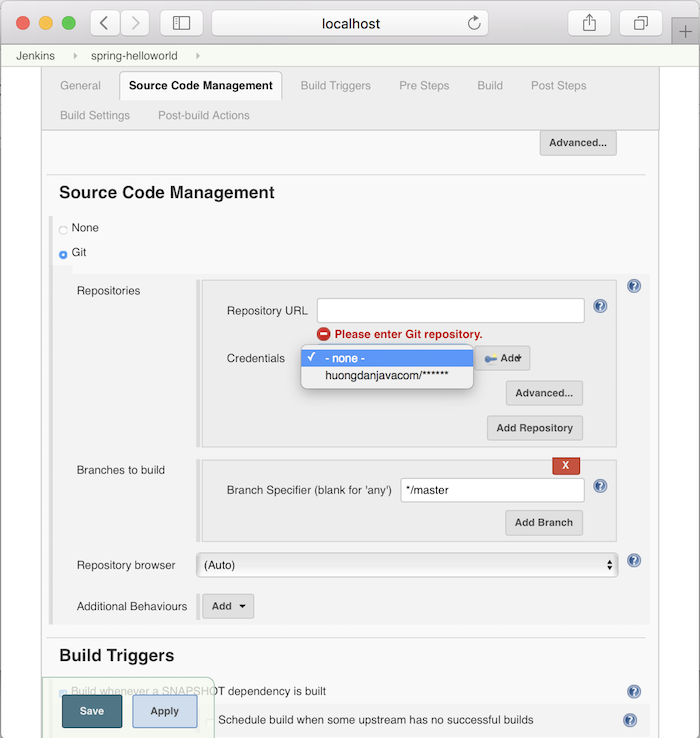 This step allows Jenkins to clone the code from Git systems. 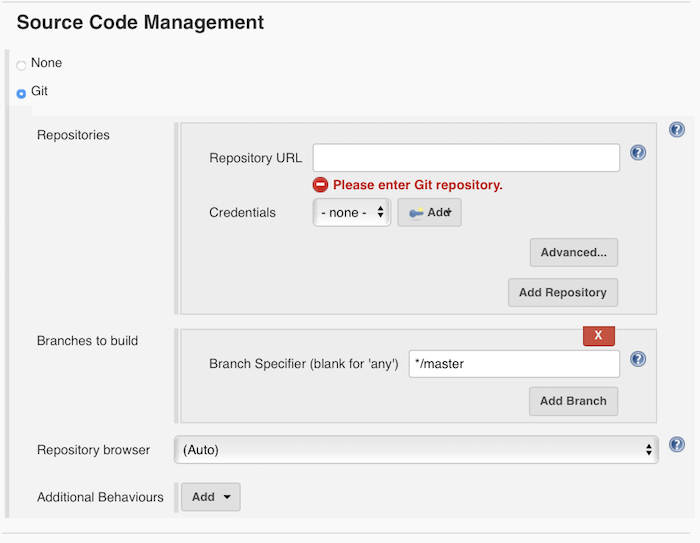 And finally, the Git branch we want to build. to add information about username and password. In the window above, you only need to enter Username, Password and then click the Add button is okay. Then the credentials login information will appear information about the Username that we just added. The last thing we need to do is to configure the pom.xml file and the Maven statement that we want to run when our build project. Root POM is the location of the pom.xml file. Let’s imagine when the clone code comes in, we will have a directory containing all our code. The path of the pom.xml file will start from this directory. The Goals and options section is for configuring the Maven statement. That’s it. You can click Save or Apply button to save. Now, let’s try to build the Maven project. After you click Save, you will go to the current Jenkins job page. Now click the Build Now button to start building this project. You can click on # 1 in the Build History section, then in the Console Output section to see how the build progresses. 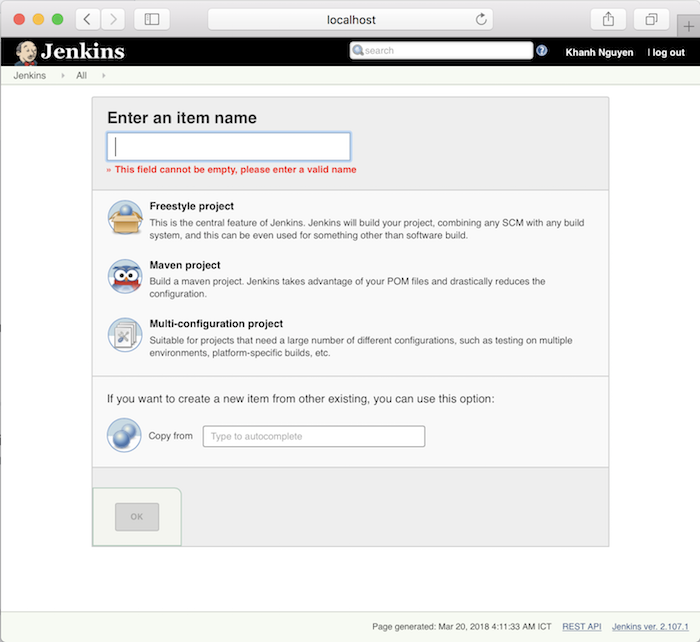 what is the difference between creating a freestyle project and maven project in jenkins job?